Tip : Apply white petroleum jelly(Vaseline) Before you start painting with any medium,it protects ur hands from staining and dryness and any harsh effects of the paint/spray. Thank you for joining us at TioT. A wonderful project. Your son will treasure it I'm sure. The colour is gorgeous and all the shells and texture elements look amazing. Are you aware we currently have a DT call for mixed media artists and we'd love to see you apply. A fantastic project, your little one will love it. Thank you for sharing it with us at TioT's. wow this is beautiful and I just love shells.Thank you for sharing with us over at Rhedd's Creative Spirit this month and hope to see you again in future challenges. You asked for help over at SanDee&amelie's Steampunk Challenges - so here I am. Very interesting and beautiful project! Thank you for joining us at Keep memories! A beautiful arrangement! 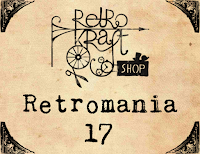 Thank you for joining the Retromania challenge! 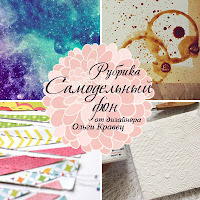 Really great project :) Thank you for joining the Retromania challenge! Wow this is fabulous! Thanks for joining us this month!